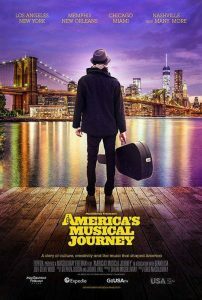 MacGillivray Freeman Films in their incredible documentary film called “America’s Musical Journey”. the documentary feature, singer Aloe Blacc! “Conga” by Gloria Estefan & “Mambo Swing”- Big Bad Voodoo Daddy. Show choreography consisted of partner dancing, shines ( footwork), and a traditional Cuban “Rueda” salsa dance. Dance South Florida’s performances were filmed at the beautiful and iconic Domino Park in Little Havana. All costuming was created specifically for this event as client requested a “traditional” look as opposed to flamboyant costuming. Documentary is out now on IMAX! Check your local IMAX theater for listing times and locations. Call us today to create custom entertainment for your upcoming event or movie feature!